Located within the famous Coral Triangle, Timor-Leste has some of the most pristine, ecologically diverse and least explored dive sites on the globe. The marine life is abundant with colourful hard and soft corals as well as a vivid array of reef fish. Open water species such as tuna and mackerel are encountered along with harmless reef and whale sharks, manta rays, turtles and the more elusive dugongs. In more sheltered sites you’ll marvel at the variety of fascinating smaller critters – displaying weird and wonderful shapes and colours. Reefs run close to the shore along much of Timor-Leste’s northern coast, immediately in front of the capital Dili and around Atauro and Jaco Islands. Sites range from more sheltered and gently sloping fringing reefs to magnificent wall diving with underwater cliffs plunging into the abyss. Most of the best dive sites are very accessible – some requiring just a short swim from the beach. Warm tropical waters provide excellent visibility all year around. 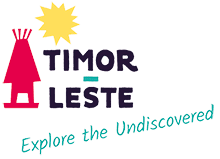 The availability of experienced diving companies makes Timor-Leste an epic dive location whether you are a novice or veteran. Local diving companies provide shore and boat dives, PADI courses and overnight dive safaris. Shore dives are offered in close proximity to Dili, at dive sites to the west and east along the northern coast. Atauro Island is another very popular destination for guided diving adventures from Dili and all companies run their own boats. Atauro Dive Resort is located at Beloi on Atauro and Compass Charters has a beach house at Beloi and diving eco-camp at Adara.